One of the things I always appreciated about fiction, like an early Star Trek: The Next Generation (TNG) episode, is how it can create extreme situations by which questions about our lives, from the mundane to profound, can be explored. The relevant one in this case is about the decisions we make that direct whether we place our priority towards our own interests or the nature of our relationships with others. Of course, this happens in reality as well which, for me, was where a international trade history discussion of corporations and the slave trade for a Master’s course a few years ago converged with Steven Spielberg’s Lincoln movie, in theatres at the time, and that Star Trek TNG episode. 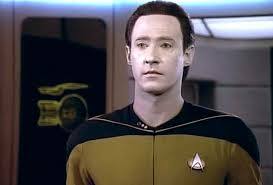 During the show’s second season in the late 1980’s, the “The Measure of a Man” episode involved a legal hearing that was held to address an attempt by a Starfleet Academy scientist to have the android Enterprise bridge officer known as Data officially identified as property so that Data could be requisitioned in order to be dismantled in the hopes of replication. Captain Picard successfully argued that there was reasonable enough evidence for Data to be considered a sentient life form and that, as such, it was Starfleet’s duty in its mission to seek out new life to grant him the rights that represent the relationship the Federation intends to have with all such beings. Corporations and slavery raised the same question of identity, respect, and rights from very different directions. The emergence of the corporation marked the beginnings of a new kind of entity. It was revolutionary as a business enterprise and, like a democracy, its success has been depended as much on the united support of its shareholders as it has on its leaders. Despite its lack of a singular form, the corporation today is recognized as a unique and identifiable entity to the extent that it has legal rights and pays its own taxes. Slavery, on the other hand, took real human beings and considered them as property. To be used, abused, bought off the shelf and disposed of as any other production input, condemned to do the tough, mundane, and dirty work many of us prefer to avoid. The moral, political, and even economical issues of slavery raises not only speaks to the rights and well being of these people, but also highlights attitudes about equality and distribution of wealth in society at the time. As was noted in the Lincoln movie, most white citizens of the US did not want to share the wealth of their land with the blacks. This was the great contrast of corporations and slaves over this period of history. Between 1600-1900, an entity with no physical form emerges and thrives to tremendous success and respect while certain races are deemed by governments to be unworthy of basic human rights. Such nations, in the latter case, benefit those who are in a position to profit rather than fairly recognizing and rewarding the work of everyone in a manner that understands that we all contribute towards a society whose whole is much greater than its parts. Without such an understanding, discrimination would have no limits. The debate over slavery makes it easy to overlook the fact that women, at the time, faced many inequalities as well, including the right to vote. In the US, black men gained the right to vote 50 years before women did in 1920. The point is that a key question to be asked in broadly affecting decisions, to consider the benefits to the many rather than the few, is how our decisions affect and even extend our relationships within our society and even with the greater world, no matter the form. In the case of the Lincoln movie, the choice of abolition of slavery, to the benefit of black slaves with no political status, over the Civil War peace favored by those who voted him into office was the legal, political, and moral struggle that faced the US President at that time. 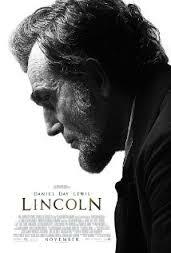 As portrayed in the movie, President Lincoln chose to stall negotiations that could have ended the Civil War two months earlier in order to pass the 13th amendment that permanently ended slavery. Peace could have broken the political momentum needed to gain the two-thirds majority required to pass the amendment in the House of Representatives and allowed the South to keep their slaves despite the war. He would ultimately pay for this decision with his life with his assassination three months after the amendment passed. This choice is not limited to our leaders for we make decisions about the type and scope of our relationships everyday. From family and friends, the places we work and interact, the stores and products we buy, up to and even beyond the voice we make to our governments on how our countries are run, we show how much we care about the world around us, including the natural one. Whether it is with distant cultures, slaves, corporations, or even androids, such decisions are vital statements about the respect we have for our fellow beings and the nature of the relationship we aspire to have with them. Thanks ER! No, I don’t watch that many movies, especially after our girls were born. I just like relating ideas and issues to events and stories like movies, particularly when they make similar points. A Connections point-of-view as promoted by James Burke, though his Day the Universe Changed series is a bigger influence to me. Speaking of Brits, maybe you want to check out John Oliver’s take before working on your gender inequality post. Rofl, I am just pulling your leg!! I love watching movies and tv series but I barely get time to watch any !! So I try to make up for it be reading whenever I can.. But what really fascinates me is how you manage to make all these elaborate yet principal topics seem so relatable and straightforward by citing movies – which are accessible to most people and I guess it makes a bigger impact that way – definitely more visual ! But it also goes on to having a deeper impact on ones thinking as you start making connections everywhere rather than just blindly seeing and forgetting !Thanks for the link ! Ill definitely have a look at it!